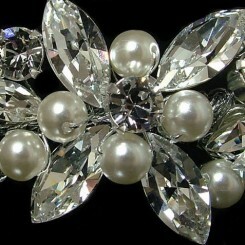 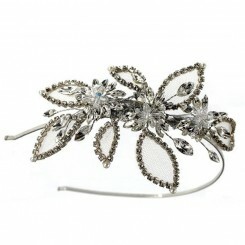 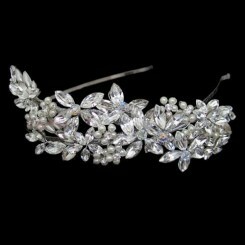 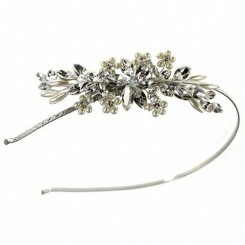 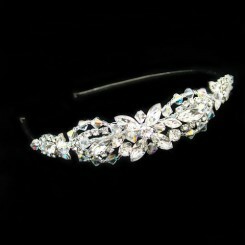 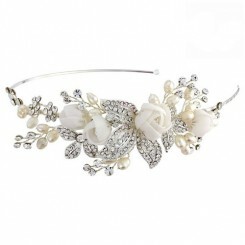 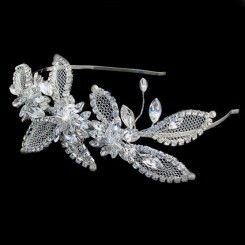 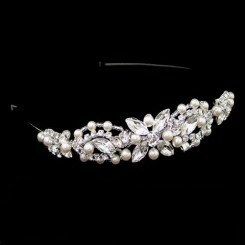 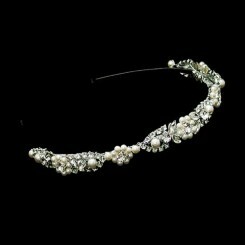 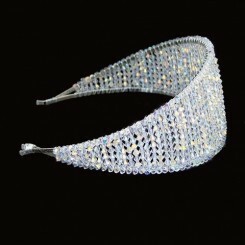 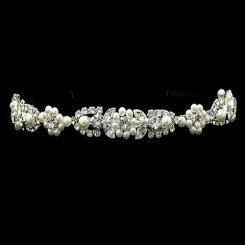 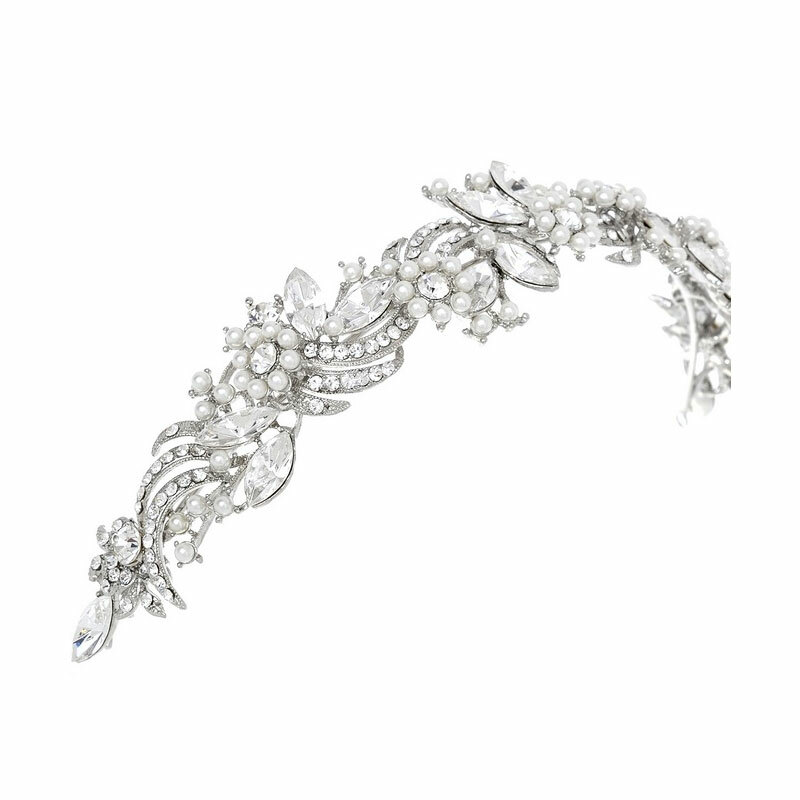 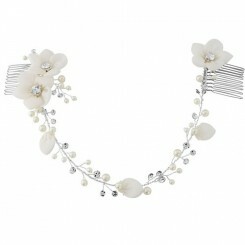 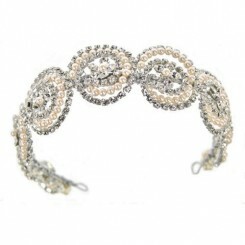 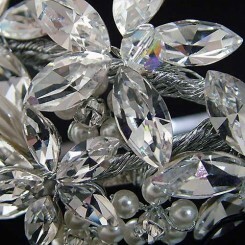 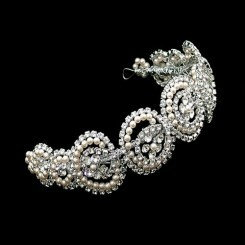 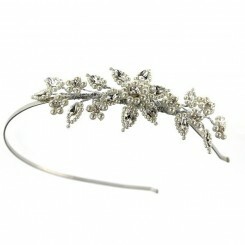 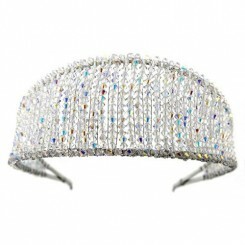 Opulence Crystal Wedding Headband – A truly stunning creation in crystal and pearl. 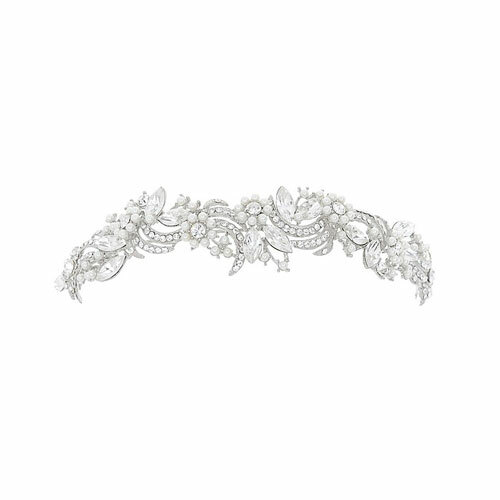 This fabulous bridal headpiece features a scrolling design encrusted with tiny glittering Cubic Zirconia crystal. 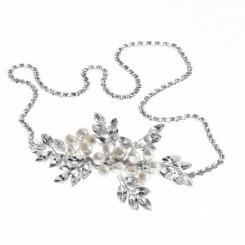 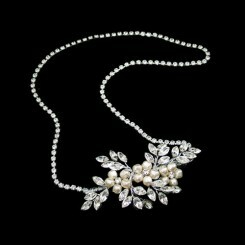 A dainty floral motif is created from petite ivory pearls with twinkling crystal centres. 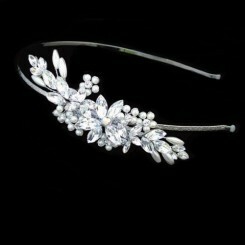 The piece is given a final flourish with large marquise cut Cubic Zirconia crystals and is finished to perfection with high quality Rhodium. 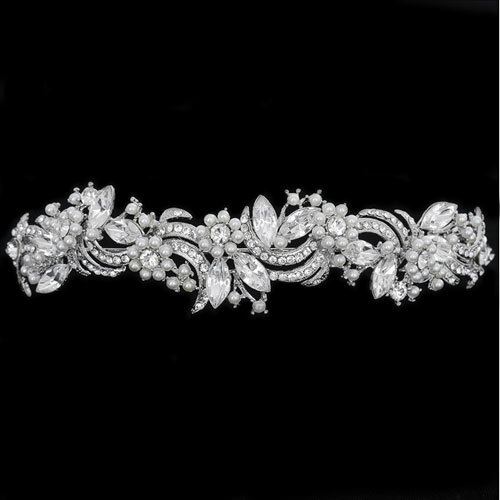 This style is only available in silver/clear and measures approximately 3.5cm at widest point.